XP is a horrific affliction as illustrated by the documentary “Sun Kissed.” XP causes extreme sensitivity to sunlight. In children it leads to the early onset of devastating skin cancer and even blindness. Children who contract XP also experience fatal neurological degeneration. They rarely live past 20 years of age. XP leaves the afflicted children unable to care for themselves even minimally, with not even the ability to talk. The children depicted in the film had to be moved around in wheelchairs. The explosion of this horrific disease has as a backdrop decades of uranium contamination on the Navajo Nation, via the Cold War and the Manhattan Project. The reservation covers large portions of Arizona, New Mexico and Utah, with uranium deposits throughout much of the area. At one time more than 1,000 mines were in operation on Navajo lands. 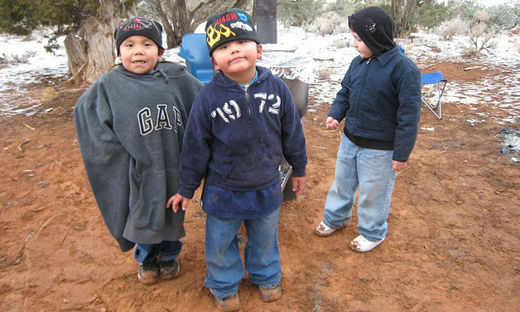 With unemployment being astronomical , as on most reservations, countless numbers of Navajos worked the mines. In the latter 20th century millions of tons of uranium were extracted from the earth there. 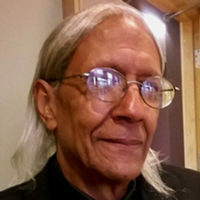 Lung cancer ravaged Navajo miners at much higher rates than the non-Indian population, and other lung diseases resulted from the breathing of radon. These hapless workers were never warned of the danger of uranium exposure by the U.S. government or by the private companies contracted to work the mines. At the conclusion of the panel discussion there seemed to be a general feeling that there should be no “rush to judgment” as to the cause of XP but that more answers needed to be considered for the sudden rise of the dreaded illness.